The Best Beard blogs from thousands of top Beard blogs in our index using search and social metrics. Data will be refreshed once a week. Also check out Beard Podcasts and Beard Youtube Channels. Beard newsletter is a comprehensive summary of the day's most important blog posts and news articles from the best Beard websites on the web, and delivered to your email inbox each morning. To subscribe, simply provide us with your email address. Worldwide About Blog A page for fellow beard brothers and admirers, we try to keep you laughing and inspired. Facebook fans 200,591. Twitter followers 1,732. Worldwide About Blog Sharing the love of beards. Facebook fans 45,443. Twitter followers 32,043. About Blog Reddit feed for Beards. We are dedicated towards the fine art and discipline of engineering the male facial form. We're here to celebrate beards, not to shame those without. Facebook fans 1,137,431. Twitter followers 500,575. Newport Beach, CA About Blog Zeus is a Grooming Blog for the Bearded Man. Our mission is to design, develop, and offer men's grooming goods that elevate how you look and feel. From the natural, paraben-free ingredients in our beard shampoos and oils to the nourishing horn and boar bristles in our combs and brushes, we present you with carefully crated products that transforms men to gods. Facebook fans 40,830. Twitter followers 890. Spokane About Blog Welcome to Beardbrand Podcast. It is a community and ecommerce business dedicated to the urban beardsman, and the bearded lifestyle. They offers a variety of beardcare products ranging from beard oils and washes/softeners to mustache waxes and grooming kits. Facebook fans 110,027. Twitter followers 18,158. About Blog Blogging about connecting those with beards to those who want to stroke beards. Facebook fans 4,082. Twitter followers 5,634. About Blog Articles on Beard Care, Growing a Beard, Beard Care Products, and more! Facebook fans 14,304. Twitter followers 251. Made in the USA About Blog Stubble & Stache blog IS about all things manly. From beard care to women, whiskey and war. Covering men's grooming, how to grow a beard, beard care, men's skincare. Facebook fans 8,963. Twitter followers 688. Los Angeles, CA About Blog The Blackbeard For Men's Blogscroll - read all about the Cap'n Jim's adventure on the high seas and the interweb and beard color. Facebook fans 1,182. Twitter followers 719. Los Angeles About Blog Follow the Mysic Man blog to learn the latest tips on growing and styling a beard, how to apply beard oil, the best beard moisturizers and much more. Facebook fans 2,212. Twitter followers 728. Crowthorne, England About Blog My name is Niall. By day I am a Digital Marketer but my real passion is blogging….and beards. This blog will provide new and current beard growers alike with tips on how to keep their facial fuzz looking great! Facebook fans 257. Twitter followers 5,016. About Blog This company’s mission is to provide beard education, product recommendations, and top-notch men’s grooming products. California Beard Company is also committed to sustainability. They plant 1 tree if you join their email list. Also download their free guide, The Ultimate Guide to Beard Growing, if you’re looking for a comprehensive guide on beard growing. Portland OR About Blog Beard and Hair tips, tricks, and tutorials. We will also be posting about upcoming products. Be sure to check in for updates on your favorite hair care items. Facebook fans 532. Twitter followers 249. About Blog We provide insight into the best reviews, product list, buyer's guides and related articles to grooming, top brands, health, style, beauty and technology. UK About Blog My name is Anil Davé, founder and creator of Twisted Moustache, a UK Men's Beard and Moustache Grooming Blog. I'm a family man exploring and experiencing modern UK culture. I've got a real passion for Beards, Moustaches, male improvement, grooming and British men's lifestyle. Facebook fans 208. Twitter followers n/a. About Blog The mission of beards.org is to promote beards, to promote the growing of beards, and to promote the acceptance of beards. The beards.org mission is also to educate the public about beards and to document beards through photography. Facebook fans 413,038. Twitter followers 954. Colorado Springs, CO About Blog Beard and Company shares the information on beard growth, how to keep your beard healthy, beard styles, beard grooming, mustache grooming, and much more. Facebook fans 1,487. Twitter followers 179. Brighton, UK About Blog Handmade beard oil, beard balm & moustache wax. Established, designed and manufactured in Brighton. Encapsulating the style and spirit of the bearded lifestyle. Facebook fans 4,529. Twitter followers 7,864. Toronto About Blog Beard care and grooming products. High-quality organic and vegan-friendly ingredients. Handmade in Canada. Long lasting and concentrated. Facebook fans 2,913. Twitter followers 1,358. About Blog Ever wanted a beard but facing problems? Got a beard but need grooming tips? Don't know what are the products? Read along, beard bro! Facebook fans 220,869. Twitter followers 222. Nottinghamshire, England About Blog Come to Beard Lab for the most awesome and unique beard care products. Beard Oils, Soaps, Beard Wash and More. Come Upgrade Your Beard! Facebook fans 845. Twitter followers 9,428. About Blog Everyone deserves a Beardicure, because growing a beard should be simple. Welcome to the best beard blog of all time! Facebook fans 260. Twitter followers 28. Fort Worth, TX About Blog The Rustic Beardsman aim to help the beardsman in his bearded lifestyle. Ambassador of beard care. Hand crafted natural and organic products. A blog for the bearded man. Facebook fans 1,847. Twitter followers 202. About - This blog will hopefully provide new and current beard growers alike with tips on how to keep their facial fuzz looking great! About - Bearded Basturds was born with an aim to make harsh chemical and alcohol free beard care products, with a focus on grapeseed oil. If you want to know how to grow a beard and don't know where to start, don't worry, we have you covered. As you know, its way more complex than simply forgetting to shave. Our Bearded Basturds blog explores topics for beardsman starting out on their bearded journey. About - Bedfordshire Beard Co is run by Tom and Fiancé Caitlin. Both of whom share the same passion, to create high quality grooming products for the modern gentleman. Keep up to date with our latest news, product releases and beard care tips. About - My name is Anil Davé, founder and creator of Twisted Moustache, a UK Men's Beard and Moustache Grooming Blog. I'm a family man exploring and experiencing modern UK culture. I've got a real passion for Beards, Moustaches, male improvement, grooming and british men's lifestyle. Everyday tips for the everyday man. 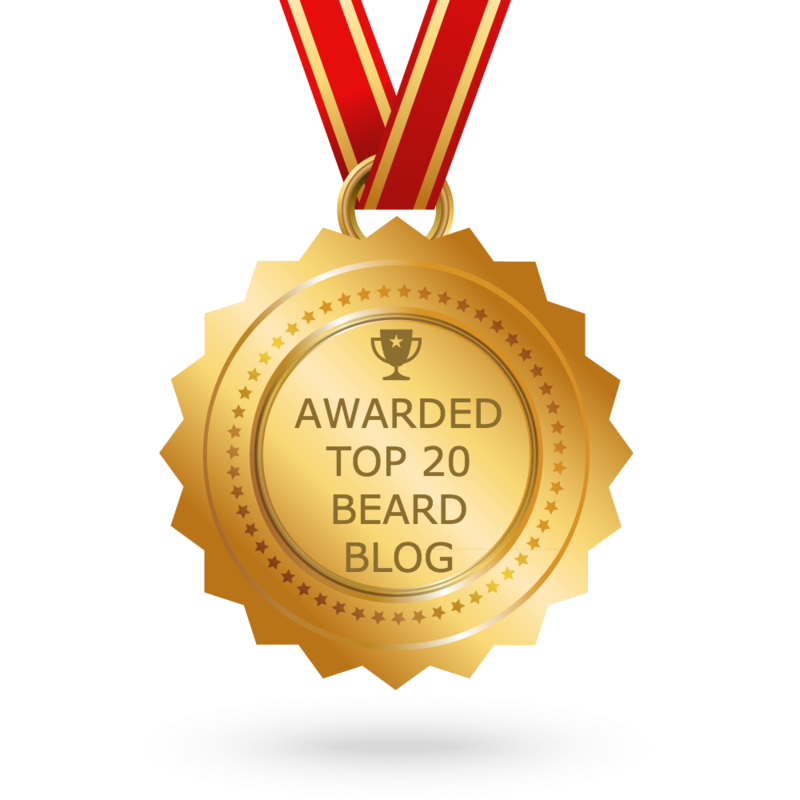 CONGRATULATIONS to every blogger that has made this Top Beard blogs list! This is the most comprehensive list of best Beard blogs on the internet and I’m honoured to have you as part of this! I personally give you a high-five and want to thank you for your contribution to this world.